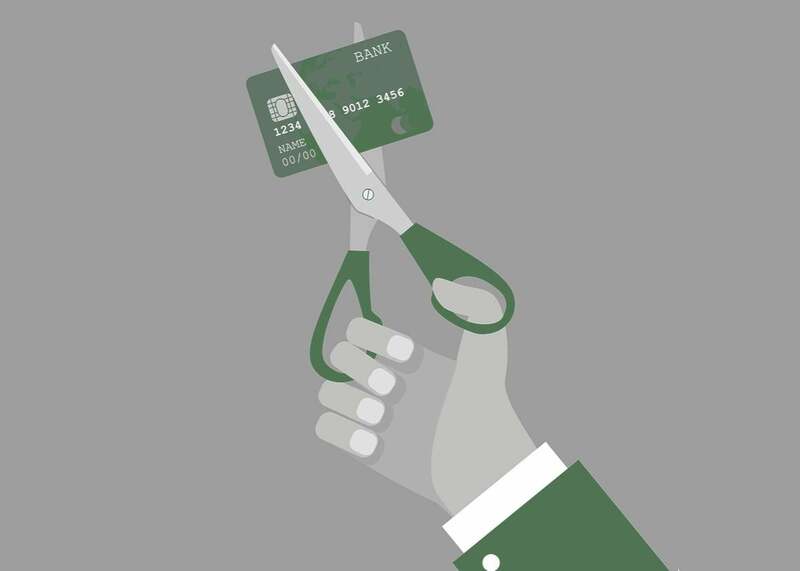 How to get out of debt, according to behavioral economics. Behavioral economics explains why we overspend, and how we can stop. Photo illustration bys Sofya Levina. Image by drogatnev/Thinkstock. This article is part of the United States of Debt, our third Slate Academy. Join Slate’s Helaine Olen as she explores the reality of owing money in America. To learn more about this project, visit slate.com/Debt. Looking at the totals on your credit card bill, you might wonder, how did I get in this situation? If you intended to only use your card for emergencies but ended up using it for life’s little extras, does that make you irresponsible, immature, or reckless? Behavioral economics says it just makes you human. One aspect of our nature that’s to blame is called present bias—the human tendency to emphasize now over later. In other words, although in theory you’d like to take care of yourself in the future, when it comes to how you live your life, Now You matters more than Later You. So it’s tempting for Now You to buy stuff and force Later You to pick up the tab. Of course the problem is that we all become Later You, to whom the bills get sent. We should pay those bills now … but first, why not have a night out with friends? Even Later You will surely start to pay more than the minimum payment any day now. We don’t mean to sabotage our future selves, but Bar-Gill says it happens before we realize it. If we lived in a bartering system, we would have a clearer sense of the cost of our purchases. We’d know full well that a pound of pork costs us five ears of corn. But what is the cost of those $100 jeans, really? If you put them on your credit card, do you have any idea what you’ll end up paying? If you carried on wearing last year’s jeans and invested the money, do you know what difference it would make in your retirement account? Not likely. Ariely points out that the problem is even worse with credit and debit cards and with newer technologies like Apple Pay and Android Pay, where you don’t physically see cash leaving your possession. And interest adds another layer of complexity—most people don’t bust out the Excel spreadsheet every time they want to use their Visa. Complexity is part of the problem, says Bar-Gill, who has spent much of his career working to educate and protect consumers with regards to debt. “When something’s overly complicated and we don’t understand it, we might overestimate or underestimate the cost of the product or the loan,” he says. “Lenders will particularly manipulate or use this complexity to their advantage. They would hide the cost of the loan in the complexity.” Hidden costs might include a pre-payment penalty or an interest rate that jumps to a higher amount if you miss a payment. “The complexity of the contracts is such that boundedly rational individuals cannot fully understand what they’re getting into,” says Bar-Gill. Between the availability of easy loans and the increased sophistication of marketing, Ariely says the world is getting increasingly difficult to navigate without falling into the trap of debt. So how can we arm ourselves better to stay out of debt or get out of debt, since nature hasn’t outfitted us with the mental armor we need? First, make things more concrete. He says some people find it helpful to separate their money—literally maintaining two bank accounts, one for discretionary spending and the other for fixed expenses. Be sure to include expenses that you might procrastinate on, such as tuition that’s not due until the fall. Ariely suggests adding up all the expenses you know about for the year, dividing that number by 12 months, and keeping that amount in a separate account. Bar-Gill suggests making pre-commitments: using rational thinking to set yourself up to resist temptation when it arises. Other ways to pre-commit include setting up an automatic transfer to your 401(k) or your credit card bill. It’s best to have it come out as close to payday as possible, Ariely says, or that cash sitting in your account will fool you into thinking you’ve got more money than you really do. If you need to cut back on your lifestyle, Ariely says, “We find that in general it’s easier for people to just cut things off as a category.” So instead of reducing the amount you spend on cable, restaurants, and travel, pick one group of unnecessary expenses and eliminate it completely. A creative way to make the future more concrete is to look your future self in the eyes. According to a paper published in the Journal of Marketing Research, people who looked at an age-progressed photo of themselves said they would dedicate twice as much money to their retirement savings as people who looked at an unaltered photo. So adding a photo from AgingBooth to your desktop might help you think more clearly about your future. Don’t be afraid to reach out for help, either. The Department of Justice offers a list of approved nonprofit credit agencies to assist you in making the abstract concrete. And remember that it’s not your fault you’re human and not a calculator.